It includes players of the following heights: 5’10”, 5’11”, 6’2″, 6’3″, 6’4″, and 6’6″. This was written by Jeffrey Hetzel. Posted on Saturday, February 16, 2013, at 4:19 am. Filed under Men's Basketball. Bookmark the permalink. Follow comments here with the RSS feed. Post a comment or leave a trackback. Guys- BTW if you want to see my comments on your excellent work in your pre-Wes. writeup and on Nolan for POTY, I did post but put it under the comments following the Amherst game. Further BTW- add Shasha to the list of “m.i.a.”‘s that Nolan has chalked up this season alone. A very strong statement for those precincts supporting his POTY run. Yesterday’s “W’, should have locked in the bid- Midd’s 6th in a row (only R.I.C., leading the LEC, and would have 7, has more). Later. Clubbo. Thanks Clubbo, we read the comment yesterday. Thanks for the info and analysis as always, great stuff. Can’t wait for this weekend. I think you misconstrue our sense of loyalty. We certainly don’t think this is an obvious decision; all four players at the top of the list for Conference Player of the Year are deserving. Should any of the other three win the award, we would neither be upset, nor surprised. (If you want a demonstration of our relative objectivity, see our pre-season predictions regarding the team’s schedule, when we predicted a 21-2 season with losses to Williams and Tufts). Having said that, we are absolutely certain of two things. 1) Nolan Thompson is the most undervalued player in the conference, and continues to be so. 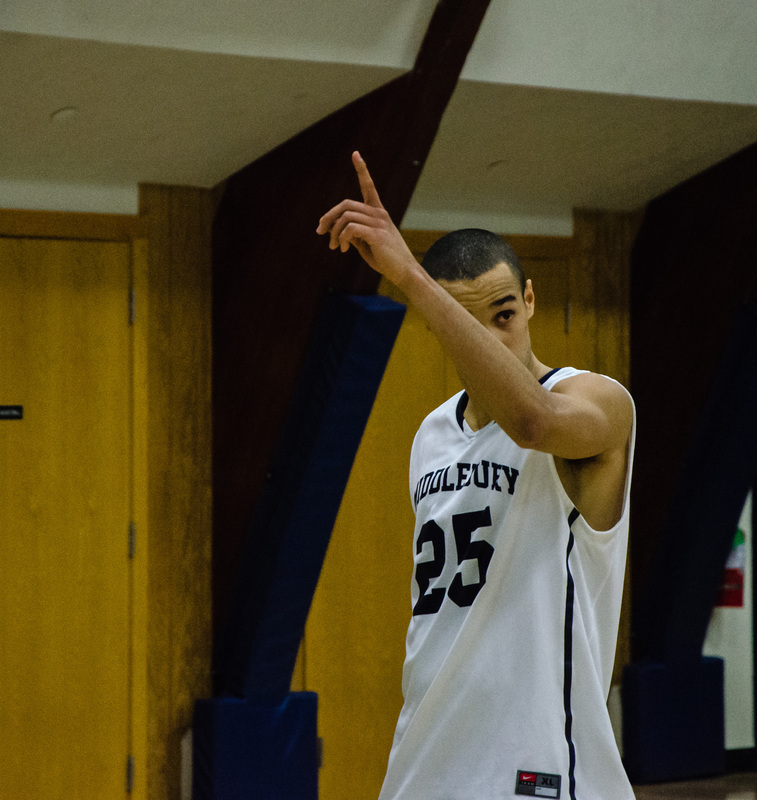 2) He is absolutely the best player on this Middlebury team. And don’t take our word for it: after the game yesterday, Jeff Brown called Nolan the MVP of this team and that he wouldn’t trade him for anyone else in the conference. I then asked him if Thompson should deserve serious consideration for Conference Player of the Year and he was unequivocal in his answer. Now you may think that Jeff Brown is blind in his loyalty, but then I would question your knowledge about this team. They never talk about themselves, never overhype what they’ve done or who they are, so to hear coach Brown speak that way about Nolan, someone he has gone out of his way to praise all season long (listen to his interview with Dave McHugh on Hoopsville) is significant. If you really think we are just picking Nolan out of loyalty, then show us why the other players are more valuable. It should be easy, if it’s so obvious. One more comment for ‘MiddFaithful’ to consider in the Nolan/POTY debate. I’m squarely in Nolan’s corner and it’s not just because I’m myopic or have had blue and white blood running through the veins for let’s say a ‘lotta’ years. Like any judge would say those disqualifiers might only go to how much weight my testimony is given. When making my pre-game comments as to Wes. one thing noted was that Damon and Jeff are limited by Midd’s geography- and also by their course load, etc. One advantage I’ve got is being here in Connecticut where within a 90 minute drive there are 40+ gyms where the D-3 game goes on every nite. Wesleyan, WesConn, AlMagnus, Trinity, USCG (they’re dreadful)and Springfield all qualify. With these kinds of options for live BBall, (and virtually all the northeast comes thru) it’s easier to get a read on who can play (individually and team-wise) and who can’t. This is something I try to square up early in each season before winter travel may limit game runs, and it really opens one’s perspective. Having seen many of the northeast’s pretenders and contenders I’ll stick with what I’ve seen. And the fact is that Nolan is terrific. Often you don’t realize it till you see the halftime stats and their leading scorer is far below his norm. He is the big key to why The Panthers have had consistency. He leads the defense and his attitude and performance means he leads thru what he does. But it comes from the top. JeffB. has given ‘TheBoys’ a defensive philosophy to work with during this incredible run, and it has been lead by Timmy Edwards, Andrew Locke and now Nolan. But the other pieces are there this year, just like they’ve been in the past. 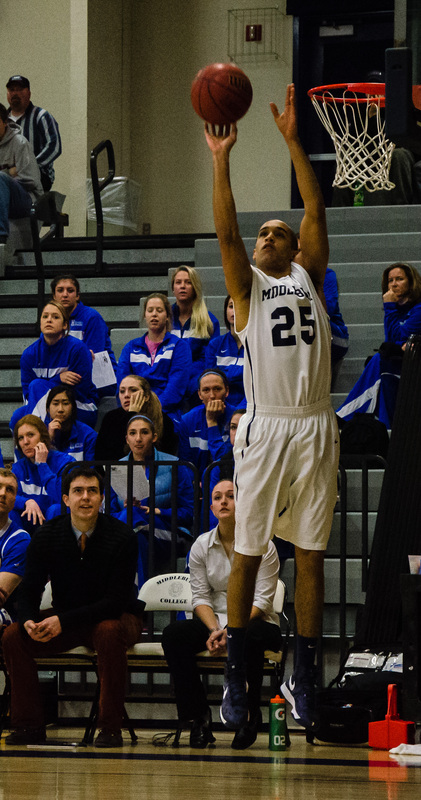 And all recent edition Midd teams have been on that same page, Jeff’s page. The ‘we’ before the ‘me’ (Phil Jackson). And it should continue because we’ve got some pieces already in place as we go forward, but that’s for a later discussion. Epley for one isn’t looking forward to Saturday. Nolan should be able to put the handcuffs on him again. That simplifies the equation- and if we can do a better/earlier job of fronting Mayer. Stats aside, watching him Mayer doesn’t give you the impression he’s the kind of impact player that Troy W. ever was. And Workman- who is a very good defender, can score from 3 when necessary and boards well- just isn’t the kind of kid who can change a game/impact it on a regular basis. Toomey might be there, but if so it’s strictly from the offensive side. Think he’s definitely beatable off the dribble by top G.’s (Joey comes to Mind) and a bigger G. can shoot over him. But Amherst and Williams spend a lot more time puffing up their players than Midd does. It’s on d3 hoops, their websites etc. I like the way JeffB. does it and I like the kind of guys we get to continue this run. Nolan is POTY although, ‘D’-based players usually don’t win it. Talk soon. Clubbo. BTW- there is a Midd BBall pre-game lunch gathering (for fans, alums, and parents) at The Pub in Amherst (5 minutes from Lefrak). We’ll be there starting at 11:45. Any travelers from ThePantherNation are welcome. You should find us right away- we’ll be the loud ones wearing Middlebury gear or at least not purple-n’-gold!